We hope you all enjoyed your summer, and that those of you who were able to attend our Vienna conference are still moved by the rich and inspiring experiences we enjoyed together. Thanks again to everybody who contributed in organizing the conference, especially to Travis Atkinson, our Representative for Public affairs and Membership affairs, and Alexandra Schosser, our Vice President. With the arrival of the fall season, it is harvest time, and we are transitioning back to our regular work. Two items are at the top of our list: preparing for the ISST Executive Board Elections, and the online General Membership Assembly (GMA). I will address the GMA in a separate posting, and will now focus on the Board Election (BE). Travis formally announced the Board Elections and informed you about the schedule in an email blast. Now we want to announce who will run again among the current board members and give you the revised “job descriptions” for Election Board positions. The personal statements of the current board members who decided to run again will be presented on the website and sent out by email, together with those of the new candidates. This is a lengthy but important posting. Please read carefully prior to submitting your nominations to the election committee! We will post specific information regarding the responsibilities for each position, and further instructions from the ISST Board-appointed election committee, made up of John Gasiewski (Chair), Erin Bulluss, and Cesar Gonzalez, shortly. (2) Who will step down? Who is willing to run again? With tremendous appreciation for their immense effort, collaboration, and thoughtful contributions, we will say thank you and best wishes to Kristin Zickenheiner and Eshkol Rafaeli, who have decided to step down after this term. Eshkol Rafaeli as our Science and Research Coordinator worked hard to insure that our conference in Vienna was well appointed with some fine papers, posters, and presenters, selecting and combining relevant theme-related topics of clinical interest as well as providing access to the latest information from the scientific branch of the ISST; this in addition to his own demanding professional schedule, which includes research and training. Kristin Zickenheiner as our treasurer did a hazardous and very responsible job guiding us through the Austrian tax jungle and always had a caring eye that we follow the statues and regulations. She spent hours with this unseen work and contributed significantly to the solid financial situation of our society. Alexandra Schosser (Vice-President following Christoph Fuhrhans after his resignation April 2015), Chris Hayes (Secretary in the last term), Travis Atkinson (Representative for Public Affairs and New Membership Issues in the last term) and Joan Farrell (Representative for Training and Certification Issues since 2012) are willing to run again for their current positions. 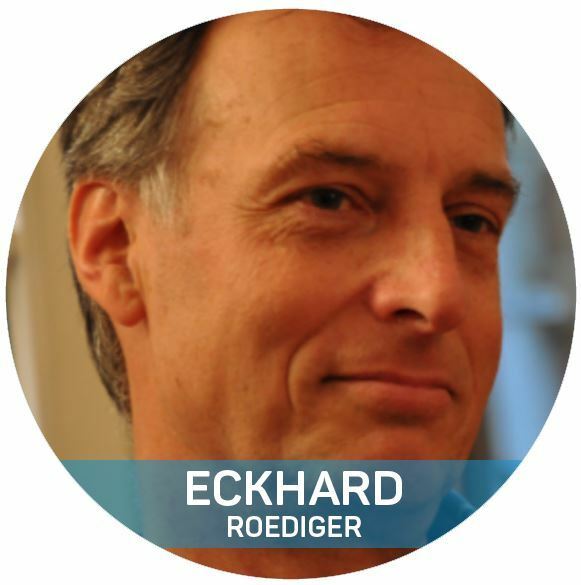 Eckhard Roediger (President in the 2014 - 2016 term and Secretary of the board since 2008) will step down from the President's position and run as Treasurer. It is hard to find words that would adequately express the appreciation for the important and fundamental roles my fellow board members have played, volunteering countless hours protecting, developing and servicing the integrity of our important society. We have a lot of talent, dedication, and passion in our multitudinous roles, amid the many demands of professional and personal lives. It has been an enriching experience to know each board member, working together to expand the schema therapy society. I feel lucky and grateful to be a member of this team. Vienna is approaching, with so much to offer! With less than a month until the ISST World Conference reconvenes in Vienna, we are happy to report that INSPIRE 2016 will be the largest conference in ISST’s history. So far, we have more than 550 participants! The Vienna program has a rich offering of 6 presentation tracks, including many special highlights, and will be capped off with an incredibly exciting closing ceremony and banquet party. A conference, of course, requires a lot of hard work in the background to organize and implement, and all of the ISST Board members are dedicated to making Vienna a success. Earth-friendly: We arranged for free wifi for all attendees at the venue to enjoy, which will make it possible to have an earth-friendly, nearly paperless conference. Travis Atkinson, our Public Affairs Coordinator, developed an app that conference attendees will soon be able to download on iOS or Android smartphones or tablets that will contain all of the conference program, including abstracts and slides, along with many nice features for attendees to easily access. General Membership Meeting: I am also cordially inviting you and all members to attend the General Membership Meeting during our conference, being held on Friday, July 1st from 6:30 to 7:30 p.m. Unlike our last General Membership Assembly (GMA), this is not a formal GMA, and members will not be voting. The official GMA will be held online in September to allow as many members as possible to participate, even if they can’t attend the conference in Vienna. During this General Membership Meeting, the ISST Board will be presenting the many exciting developments of the society, including the rapid expansion of our membership numbers, and will be describing details of the work each board member has accomplished during our term over the last two years. We will also be introducing tasks ahead for the next board, as we see them. General Membership Assembly: In addition, we want to present the preliminary agenda of the official online General Membership Assembly that will take place in September, and discuss this plan with all attending members in Vienna. This meeting will offer an opportunity for members to share feedback in-person with the board, and discuss our proposals with members in case any parts need to be refined before September's GMA. Below, I am outlining the 9 planned segments of the General Membership Meeting. Please share any additional suggestions you may have with us on the blog so that we can include them on the agenda. I hope to meet and welcome many of you in Vienna shortly, and wish everyone a beautiful summer season. As a member, supporter, or fan of schema therapy, you have many reasons to feel proud of the growth of the International Society of Schema Therapy (ISST) in 2015. As the year draws to a close, excitement for the coming year is growing, with the highlight of numerous offerings taking place June 30 - July 2nd in Vienna, Austria at the INSPIRE 2016 ISST Conference. Spotlight of 2015: Numerous events occured this year supporting schema therapy, sponsored by or collaberated with ISST, including trainings and workshops from ISST certified training programs throughout the world. A peak experience took place in St. Petersburg, Russia June 11th through the 13th during the White Night's Festival at the 2015 ISST Summer School. More than one hundred participants enjoyed workshops that focused on specialty subjects within schema therapy, including children and adolescents, group work, couples therapy, empathic confrontration in individual therapy, complex trauma, dissociation and personality disorder, research in schema therapy, and applying the competency-spiral approach. Joan Farrell, our Board Training and Certification Coordinator, worked tirelessly together with Paul Kasyanik and his team to organize the conference, and included social excursions to help participants connect with other attendees while exploring the magnificent city of St. Petersburg. Vienna in 2016: Once details of Summer School were completed, the ISST Board focused on planning for the INSPIRE 2016 Vienna conference. Our Board Research and Scientific Coordinator, Eshkol Rafaeli, searched for talented keynote speakers and developed an online portal for presentation submissions. Our Board Vice President, Alexandra Schosser, is finalizing details for the conference center in Vienna. Kristin Zickenheiner, our Board Treasurer, has been working to clear through layers of tax and financial issues involved with hosting a conference in Austria. The board is contracting with a conference organizer based in Vienna for a reasonable rate that will help ensure that all attendees enjoy a wonderful experience at the conference. To encourage as many attendees as possible from throughout the world, we plan to include reduced fees for attendees from economically disadvantaged countries. We will also strive to keep conference fees as reasonable as possible for attendees. Ambassadors: New plans for helping individuals from countries where schema therapy is emerging are being created by the board, entitled, "Ambassadors." We will offer financial support to select representatives who will then be charged with spreading schema therapy in their home communities. The concept of "Ambassadors" originated from the successful experience of Summer School in St. Petersburg, where attendees came from 19 countries. Several attendees were the only representatives from their homeland, and we would like schema therapy to grow in these communities. Details will be announced on the website soon. New Connections: Our Board Public Affairs and Member Benefits Coordinator, Travis Atkinson, secured the foundation of our new media offerings for members and the public, significantly expanding the new website with several member contributions, and establishing a new, well-functioning listserv. He completely refreshed the website in the fall, and added numerous tools for all to benefit from, including digital recordings of top schema therapists, special interest group forums to help members connect over specific topics, and the ability for members to upload photo albums to highlight their work in their member profiles for the "Find a Therapist/Supervisor" search feature. Streamlining: Joan Farrell continues her work fine-tuning our guidelines for training, including adding some "by-laws" to the guidelines themselves. Reasonable and fair solutions have been derived from different training conditions within many countries. Joan established a structure for regional subcommittees that can preview applications for certification, streamlining the process. Member Initiatives: Many additional members continue to expand and broaden the impact of schema therapy through various workgroups of committees. Wendy Behary, our former ISST Board President, initiated a Brainstorming workgroup with regular meetings to support the board's work and fill gaps to help meet members' needs. ISST also provides member access for special interest groups for online meetings, including couples, children and adolescents, eating disorders, forensic issues, and addiction. Moving Forward in 2016: ISST is growing rapidly, and much work remains for 2016. We encourage your suggestions for improvements to our current offerings, and invite your ideas to increase our roster of features to help all members benefit even more from being a member of ISST. Best wishes to you and your loved ones, however you may celebrate the holiday season. May we all enjoy a peaceful and joyful new year as we continue our work together. We have two announcements we would like to let you know about. First, following the guidelines outlined in our statutes, the board unanimously chose Alexandra Schosser from Vienna, Austria to fill the remainder of the term of our former Vice President, Christoph Fuhrhans, who stepped down in April. Alexandra will be spearheading the organizational efforts together with Eshkol Rafaeli and the rest of the board for the next ISST Conference, taking place on June 30th through July 2nd, 2016. We are thrilled that Alexandra accepted the position, and are confident members will be well-served by her efforts in the beautiful city of Vienna. We also have several member exclusives on our website, including the Schema Therapy Bulletin [STB] and videos from the 2014 ISST Istanbul Conference. [VIDEOS] See our event listings for schema therapy trainings throughout the world, and stay tuned for many more features we hope you’ll enjoy as a member of our rapidly growing society. The Online GMA is beginning now: All members permitted to vote will receive an email to the address we have on file within the next few days that includes a link to the “landing page” which provides all relevant information, including the password, to access the voting page. Members have two weeks to cast their vote, so you should cast your vote before May 15th, 2015. If you don’t receive our email by May 7th, please let us know at: EMAIL. We need at least 25% of members to participate in the vote for the GMA to be valid, so your vote will make a tremendous difference. Ethical Guidelines: The amendment David Bernstein announced in Istanbul in 2014 at the GMA regarding Ethical Guidelines successfully passed the 3-C-Committee, with some additional content. The Ethical Guidelines provide a frame for our collaboration as we grow together as a society, with a goal of mutually respecting each other. We want to thank David, the 3-C Committee, and all members who helped create this milestone. Certification Guidelines: The board decided upon certification guidelines for auxiliary professionals. These guidelines will be posted on the ISST website shortly. 2016 ISST Conference Site: We are happy to announce that the 2016 ISST Conference will be held in Vienna, Austria. After extensive research and consideration, including opinions from many members who thankfully participated in our online member survey, the board decided to change the host city to Vienna instead of Zurich. Our Vice President, Christoph Fuhrhans, worked to find a conference site in Zurich that was quiet affordable. Unfortunately, combining an unfavorable monetary situation with high wages that would be necessary for the conference to be hosted in Switzerland, the total cost of Zurich would have been extremely expensive compared to past ISST conferences. The board chose Vienna as a more attractive location overall for 2016. We are very grateful for the time and effort Christoph made towards preparing for the conference site. We are also excited about the experience members have to look forward to in Vienna in 2016. Dates: Mark your calendars in 2016 for June 30th through July 2nd for the ISST Conference. The venue will be the Fare and Exhibition Center of Vienna, centrally located in the city center, near the Donau River. Vienna is convenient for travel from throughout the world, being a historic bridge between East and West. We hope the choice of Vienna reflects the interest of most of our members, and we will update you shortly with more information about the conference. On behalf of the ISST Executive Board, I want to thank you for being a valued member as we strive to meet the needs of our ISST community. A vast "Events" page lists the numerous schema therapy trainings around the world, including the upcoming Summer School in St. Petersburg during the "White Nights Festival"
With all of the changes, we have also had some growing pains. One of our challenges has been implementing a payment system for credit cards, and the result has been that some members had challenges renewing their annual membership dues (not applicable for SEPA members). Despite our best efforts, attaining a merchant account as a not-for-profit organization encountered significant delays. An unintended consequence of this delay has lead to some members having to pay a "late fee," a provision that was added to our statutes at the General Membership Assembly in Istanbul to encourage members to renew their membership by January 31st of each year. However, we were not able to rectify our payment issue by this date, resulting in this dilemma, and the statute is not written to provide flexibility for special circumstances. Additionally, we need to rectify a provision in the statutes that requires credit card transaction fees to be covered by members, as this contradicts another provision in the statutes that bans charging members different fees. To make the online General Membership Assembly possible, Travis Atkinson, our Public Affairs and Member Benefits Coordinator, will open a blog page for members to submit proposals within a specific time frame. After the deadline, the final proposals will be posted on the website for 4 weeks, followed by the online vote over a specific time period. At the end of this process, I am confident that the result will be a better experience for all members of ISST. During this holiday season, we wish you and your loved ones joy and happiness as you celebrate your time together. As we have just passed winter solstice, the darkest days of the year are behind us. Our team at ISST has been working hard to help build on the foundation of our organization. Extensive seeds have been planted in 2014, and we're very excited about the next phase of growth going into 2015. We hope all members of ISST get to enjoy the fruits of our labors. The preparations for our next ISST conference are well underway for Switzerland in 2016. Once dates and a conference venue are established, we will officially announce the conference. We really appreciate having you as part of our ISST community, and look forward to bringing you new capabilities that help make it easier for you to be the change you want to create. From all of us on the board at ISST, we wish you peace, happiness, and health in the new year! President's Message: Reaping a Bountiful Fall Harvest! Your new ISST board is approaching the "100 Days" marker, a good time to share with you what we have accomplished, and what you have to look forward to as a member of ISST. One of the biggest challenges we faced was overcoming the obstacles that hindered our ability to provide you with a premiere member website experience. We had to find solutions to legal conditions ISST faces as a not-for-profit organization based in Germany. Happily, we were able to accomplish this. Travis Atkinson, our Public Affairs & Member Benefits Coordinator, has created an entirely new ISST website, which will be launching shortly. We will be using a membership system that provides the latest features to you on a comprehensive platform that includes an integrated payment system, for your convenience, and is expandable as new features become available. You will soon have access to a new ISST listserv based on Google Groups to help you communicate with other ISST members. Travis will be sending you directions on how to join the listserv, so watch your email inbox for instructions. The board approved a new curriculum for couples therapists to become a certified schema couples therapist. The guildelines will be listed on the new website. If you are already working with couples using a schema therapy approach similar to what is described in the guidelines, you may qualify for the "Grandparenting" option. After reading the description, if you think you may qualify, please contact Chiara DiFrancesco, the board liaison for the Schema Couples Therapy Workgroup: EMAIL. We are planning our next ISST conference for 2016. Our current top contender for a host site is in the homeland of our Vice President, Christoph Fuhrhans: the beautiful city of Zurich, Switzerland. As we evaluate potential venues and accommodations that are as affordable and accessible as possible, we will be making a final decision and announcing the result so that you can start planning your vacation for 2016. As our membership ranks have grown, we recently employed an assistant to help process applications for the Training and Certification Coordinator, Joan Farrell. We hope this helps all members needing assistance with applications for certifications. The 3-C Committee has expanded to take on the tasks of creating an ISST ethics policy, to clarify standards for competition within ISST, and to address conflicts of interest. 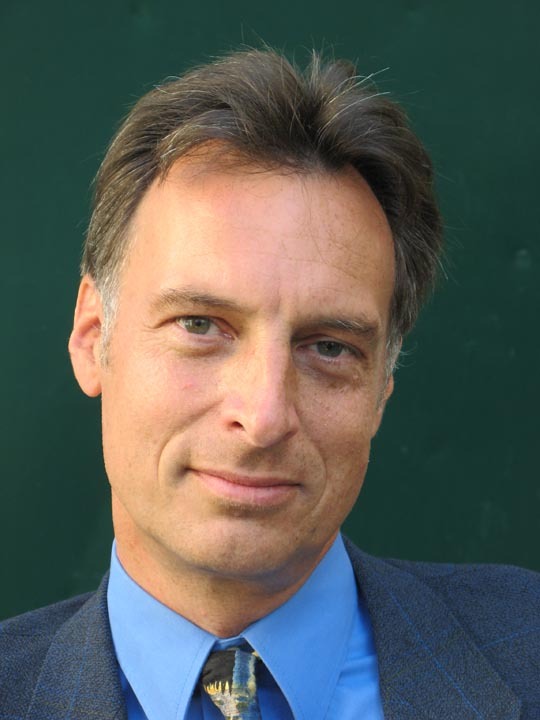 The current committee is headed by chairs Poul Perris and Gerhard Zarback, and members include Jeff Young, David Edwards, Iannis Malogiannis, Vartouni Ohanian, Susanne Vind, and Heather Fretwell. Additionally, I am happy to announce that Wendy Behary, our former ISST president, will be joining the 3C committee. We are also seeking a member from the Netherlands to be included in the committee. Wendy Behary created a new committee to help support specific tasks for ISST that could help the board accomplish more for members. If you are interested in joining the new committee, please contact Wendy directly: EMAIL. As you can see, the board's plate is full, and through determination and intense work, significant and exciting progress is being made to help ensure that you reap all the rewards possible as a member of ISST. From the entire ISST board, consisting of Christoph Fuhrhans, Travis Atkinson, Chris Hayes, Kristin Zickenheiner, Joan Farrell, Eshkol Rafaeli, and myself, we wish you all the best as we move forward together.